Posted by Victoria Bond to the School Guide Blog on 22 September 2014. We're shining our shoes and straightening our ties today to mark the arrival of our new site sponsor Galore Park. Galore Park is the UK's number one publisher of learning materials for pupils studying at independent schools and have helped thousands of children unlock 11+ and 13+ Common Entrance success. 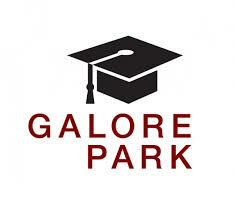 We're proud to welcome Galore Park and sport their dashing little mortar board on our school information site for parents. Working closely with the Independent Schools Examinations Board (ISEB), Galore Park's textbooks are approved by the ISEB examination setting team for the relevant subject. So Galore Park give your child direct access to those in the ISEB know, and provide the best preparation to secure a place at your child’s first choice senior school. Visit Galore Park’s dedicated parent portal for pre-tests, past papers and over 75 revision titles aimed at specific age groups for truly targeted practice. Or you can see Galore Park's very own easy-to-use information page on School Guide here. There's also a fantastic 15% discount code on all products exclusively for School Guide parents. Clever and generous. Can you see why we like them? !